You can beat Need for Speed: Most Wanted in only four hours. At least, that’s what I took away from a gameplay session wherein one of my peers decided to rush through the story mode of Criterion’s open-world racing game. 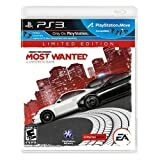 Three hours of single-player play had him three-quarters of the way through the ten titular Most Wanted cars that serve as the game’s raison d’être. In the same timeframe, I had noted at one point–between my time of discovering new cars and escaping the police in increasingly difficult ways–that my storyline completion percentage stood at a paltry twenty-five percent. It was then that I sped off in my fully upgraded Ford Focus RS500 to find the next adventure in the outskirts of Fairhaven City. Taking a look around, the other players were nowhere near where either of us were–everyone seemed to have played the game in a fundamentally different way. Therein lie the fun of Most Wanted. In a sandbox genre that’s gone from novel to stifling within the last decade, Criterion has built a sandbox that actually feels as if it encourages deeper gameplay. That highway going out to the mountain vista? There’s a dirt track built in and around a plane graveyard right next door. Those city streets dotted with speed cameras, jumps and billboards? Leaderboards display throughout to list the best times and scores between you and your friends. “Wait, what,” you likely uttered to that last sentence, “leaderboards on the map?” Yes, Facebook-style leaderboards (laid out much like a drivers’ license) dot the landscape. No, they are one-hundred percent less obtrusive than the concept sounds. In execution, they blend pretty seamlessly into the environment in an obvious-but-subtle way. Seeing high scores being just within reach is an inspiration to attempt the varied stunts and segments of the game another time or two to have bragging rights. Also dotting the landscape in specific spawn points are Most Wanted’s selection of playable cars. Reading off like a Top Gear UK car list, even a small fraction of the game’s garage is impressive in scope: Lamborghini Countach, Porsche 911, Chevrolet Corvette, Ford Mustang, Lancia Delta, Nissan GT-R, Subaru Impreza. All of these cars with great pedigrees, all in their historically most aggressive trim levels. Moreover, oddities such as the Ford F-150 SVT Raptor and Ariel Atom sneak in for no reason other than to be really neat, unexpected surprises. Four hours of experience with Need for Speed: Most Wanted richer, I found myself wanting to dig into the world even more. There were cars to be discovered, secrets to be found, stunts to perfect, and…oh, yeah, that whole storyline I’m supposed to eventually play through.